Recently, I heard the interview by Jeremy Perron of Wolfspirit Radio with Nancy Hopkins of http://www.cosmicreality.net/. Nancy speaks of the science behind Shungite and how such a simple tool as Carbon 60 can help us recover our energies, our health and protect us from the excess of electro-smog in our environment since Shungite can attenuate harmful electromagnetic radiation. I decided to experiment with Shungite because it conducts electricity like a metal, so I experimented to see what happens when it becomes part of the circuit in a coil. 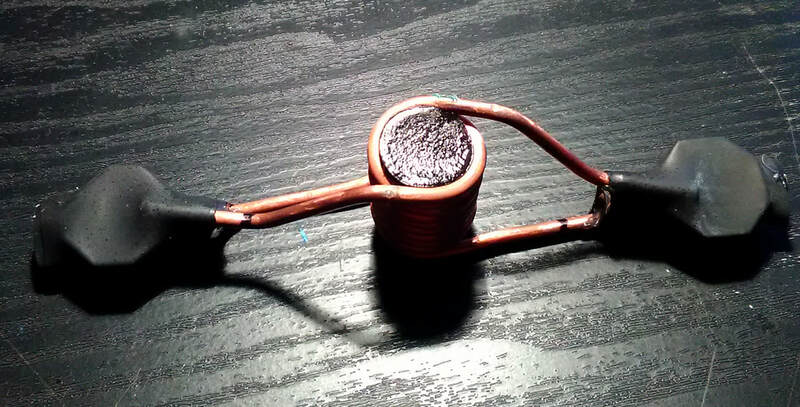 My first attempt with a simple accu-vac coil, showed me that when the Shungite “turns on” the coil, it cools down. I verified this using a digital thermometer. In the interview, Nancy says than when two or more pieces of Shungite are near each other, their energy fields resonate and that makes them re-charge their own energy field; when I heard that, a light when on in my head and thought: “Shungite resonator”. I went back to my shop and made two dual accu-vac coils with twin pieces of Shungite as part of their circuit, and two pieces inside the coil. OK, now that I have a Shungite resonator, What do I do with it? Nancy spoke about how even the power grid can be hijacked to affect us negatively. I went into my house and using my pendulum I decided to scan the power outlets and ask: “what is the quality of the power coming into the house?”. At every outlet I got the same reply “negative”. I went outside and strapped one of the resonators to the conduit pipe that comes down from the roof with the power for the house. Now when I dowse the power in the house, everywhere it tells me “positive”. 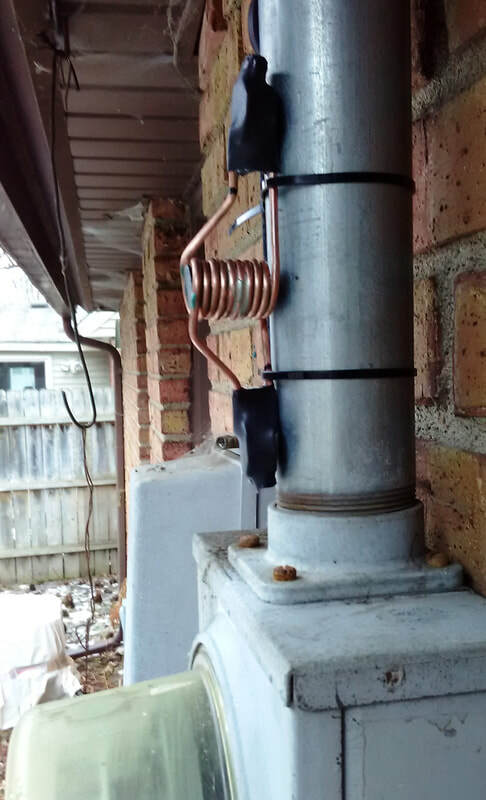 Update Further testing with the resonator shows that strapping to the natural gas line going into the house or building, changes the quality of the energy in the gas from negative to positive. This has resulted in the heating system using less gas to achieve the same work. I have stopped using Shungite nuggets in the wings of the Resonator - I am now using what I call TSMA "Tri-Shungite Magnetic Assembly" which works like an energetic heart.